Healing | THE MIDKNIGHT GARDEN: OUTSIDE OF TIME...THE KEEPERS OF SECRETS. A magically charged potion to assist you in accessing your own inner realms of consciousness. Created of Wormwood, Kelp, Dill and Mugwort to connect you to the Energies of Autumn. Use for travelling within, for connecting to the underworld and to the ancestral spirits and for increasing psychic powers. These potions are individually prepared and magically charged as per our ancient Templar knowledge and wisdom. The potions can be used as an incense, kept in a pouch (hang in your home or wear as a pendant), sprinkled sparingly in a lighted tea-light or sprinkled in your bath water. Please be very careful around naked flames and using with candles. I know that lots of folks are really scared of spiders and do not see their beauty and wonder at all; so I thought I would share this from my times of facilitating the Dark Moon Grove of Hecate, where I had a personal and profound connection to Arachne. She was our first goddess of the eastern quadrant; very apt then to be of air and to be our guide to our fate and destiny. Where does one start when searching for Arachne? 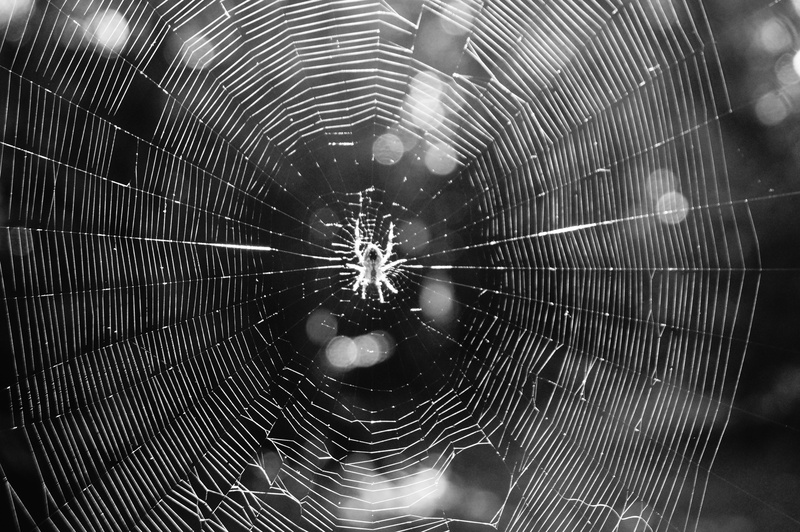 How does one crawl through her web to unlock her mysteries without becoming tangled up in her silken threads? I thought and studied long and deep about her magical correspondences, her connection to the dark moon grove, to the very air itsself and to the east. However all the normal correspondences for the eastern quarter did not seem to fit, did not ring true, did not connect to Arachne at all. None of what I was finding out or reading about rang true to the individual essence that meant Arachne. I had to get away from what was perceived in modern-day paganism as “correspondences” as finding the truth via the dark goddesses meant stripping away all previous knowledge. Little did i know at the time that i was following my true path, away from the misinformation of those who had bought modern day paganism to the for; i was indeed treading a very much older path. This was a big challenge to me unravelling Arachne; there must be a way round this small challenge, a way into her world, a way to unravel her web. I knew that the answer to those elusive questions must be staring me right in the face but I just could not see it. I had to look differently, go deeper into another world to find Arachne and so to create a very special incense to her. And then it slowly began to dawn on me; I must visit her world, walk with her, into the secret, green world of barks, mosses and dark, damp corners. A world of morning mists and shimmering webs, for there I would find her secrets, her scents and her magic. I started studying the Arachne myths, reading them and re reading them in order to connect, to find her, to know her. According to the old stories and myths, she was a determined, talented young lady who took upon herself a mighty challenge by a goddess. She, Arachne was a weaver of considerable acclaim and her work truly was a joy to behold. Purple in colour, it was said, and dyed thus by her father. But she was challenged in her weaving by Athene (Minerva) disguised as an old woman, undeterred though because in her mind she was the best, Arachne took on the challenge, maybe though she was just a bit too arrogant. It was a hard-fought contest of wills and weaving skills. Arachne and Athena wove and wove, shuttles weaving in and out as they frantically wove their many threads to create works of outstanding beauty. They both had a point to prove. But Athene, being the goddess she is, eventually won the weaving dual and destroyed Arachne’s work. Arachne hung herself, stricken with grief and distress. The goddess however showed remorse and took pity on Arachne and sprinkled Aconite on to her corpse thus transforming her into the world’s first spider. Which to me denotes that change and transformation can often be (and indeed is) very painful, yet the outcome is that of which to beautify. So it seems I was on the right track and Aconite, sometimes known as Hecate’s Herb was to be a very important ingredient, as too, would be the barks and herbs and scents of my own garden. This incense was to be an incense of courage and transformation which is the message I believe Arachne brings to us. She did not shy from her challenge, her destiny and yet when cruelly beaten she was forever transformed by her experience. Arachne Incense: gathered from where she weaves her webs…. Slithers of Willow bark gathered from the riverbank. Sweet Lemon Balm gathered from the gardens edge. New leaves given by Lady Elder, the fairy tree. Musty, dusty Seed Pods from the woodpile. Sweet Geranium, over which Arachne left her tracks. Use this incense carefully in specific ritual, spell work or magical rites to take on the challenge of courage and transformation. Of course if one has ‘webs to weave’ of ones own, one may of course put this incense to real good use…. A magically charged potion to assist you in accessing your own inner realms of consciousness and empowerment. Created of Lavender, Apple Leaf, Acacia and Eucalyptus to connect you to the Energies of Summer. To raise energy, create abundance and expansion, fulfilment and love, inspiration and psychic abilities. These potions are individually prepared and magically charged as per our ancient Templar knowledge and wisdom. They can be used as an incense, kept in a pouch, (hung in your home or worn on your person) sprinkled sparingly in a lighted tea-light or sprinkled in your bath water. Please be careful when using lighted candles and tea-lights. The two witches sat huddled around their cauldron, staring intently and intensely into the softly glowing embers. The night was cold, dark and still. They pulled their cloaks around them and continued to gaze into the fire. They knew that knowledge was about to be gained and shared and that their lives would be forever changed because of it, whether for good or bad, they knew not. But it felt right to do it; felt right to do it now after the deep, dark rite to Hecate. The night had been heavy, unmoving, oppressive and dark; very, very dark. They had desired rebirth or destruction. The goddess had heard them and had come. They were a little afraid at first, but they felt the presence of a wonderful powerful energy. Magic had sprung into life in that dark tree grove. Breezes had lifted, elementals had danced with mischievous swirls and rustlings and bells tinkled mysteriously in the bare winter branches. They had stared deeply into the embers, had let the flames die to become alive. And so they had huddled, warmed around their iron cauldron and had been drawn into the other world. They had sat and shared and had bonded on that cold dark night. Their friendship had transcended a lifetime in only an hour: time travel shared. In the embers the witches had watched as armies marched and civilizations rose and crumbled. They looked on like powerful gods, in what seemed an aeon of time, but in reality under an hour. Layers of the amber came and went. They gazed as Lucifer rose with dragons, angels took flight and glowing Egyptian eyes stared back at them. Salamanders took to the wing, with fey folk, dragonflies and butterflies. Gods and goddesses stared back at them; mermaids and sea creatures appeared and disappeared. The messages came and went, the embers told the story. Time passed quickly and the magic began to fade. They looked at each other knowingly, then grudgingly had moved away from their cosy red world. The sky was lighter now and all the heavy oppressiveness was gone. All negativity, was banished and in its place a burst of pure energy. They had been lost in time and time had passed and had been lost to them. They had sought answers and answers had come. They had come and done what they had to do. The witches knew it was now time to depart. Time to be their other selves, to enter the world of the mundane once more; until the next time that is…. 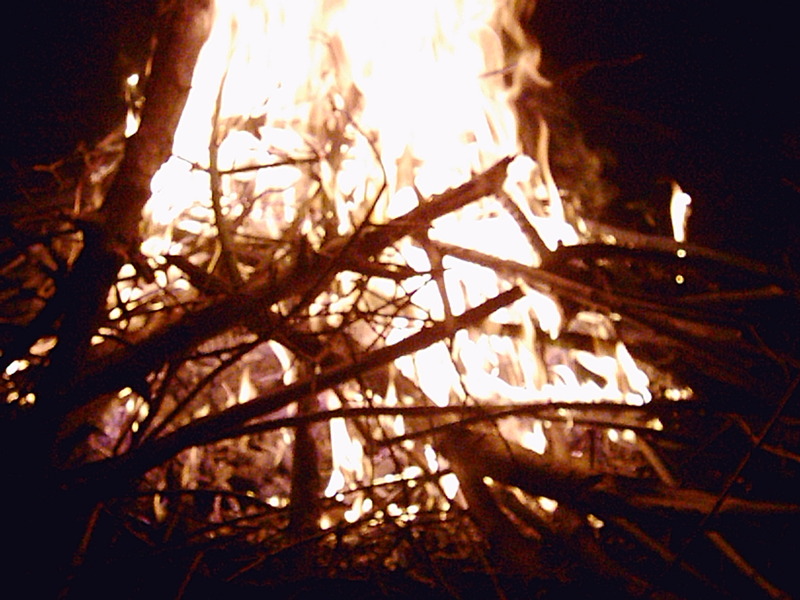 Pyromancy: (fire scrying) is the art of fire reading and it always produces very profound and far-reaching results. Results that weave their way into your dream world, that work deeply on your subconscious and manifest into your waking, living life. If you require answers then this could be the way to find them. When fire scrying as with all scrying, a relaxed, comfortable state of mind and body is most important. And you need to be very aware of your health and safety generally, so please take all the usual precautions and be sensible when using fire. Glowing embers produce very good results as they allow you to be relaxed and sit very near to the fire. But candles and night-lights can also be used, as of course can hearth fires and bonfires. Fire scrying when used as part of a ritual can give significant results too. Relax and look, look deeply, deeply into the embers, look beyond what you think you see and you will be surprised what you will see there. Patience and perseverance is required at first (as you are looking deep within) and also an awareness of the planetary and moon phases, as they can relate directly to the questions asked and the answers sought. The signs scryed and their interpretations are personal to each individual; some of the following are universal, although some are from personal experiences too. Wings: Taking flight, successful rise in energy, new projects can begin, a go ahead sign, endeavouring to be the ‘real’ you, seeking freedom. Dragons: Ancient Earth magic, grounded, contented, the hearth, power, earth energy. With eyes half-shut, curled up – peace, stability, safety, the Old Ways, guardians. Dragonflies, Butterflies, Winged Salamanders, Fairies: Rebirth, re-growth, new growth, spreading wings, rising up from negative situations, new strength, new awakenings, re-awakenings, loss of self-doubt, metamorphosis, eyes opened, an opening up to new worlds and new ways. Angels/Demons: Protection, divine connection, to learn, knowledge gained, knowledge to come, a path to come, the truths. Animal in feminine garb: Getting in touch with natural instincts, femininity, femininity and strength. Beasts with horns (inc. goats face): Approval from the God/Universe, accepting the darkness/hidden nature within, the old path, hidden ways, old magic, power. Horned God: Divine human with animal super-senses, the Old Ways. Fire itself: Purifying, cleansing, to dare, culling, Lucifer, illumination, Goddess of destruction, fire within, passion, sexuality, destruction and rebirth – see Phoenix. Phoenix: Death and Rebirth, the Bennu Bird, Egypt, Mary Magdalene. Warming, Warmth: Relaxing, seductive, passion, consuming, contentment, giving in to the universe. Living and Dying within the embers: Sexual, Salamander, Michael, Dragons, phoenix of rebirth, cycles. of life, cycles of energy. Spiders: Arachne, fate, destiny, weaving one’s own life, taking control, tangled in a web, trapped. Civilisations, Cities, Buildings: Life, past lives, past worlds, shared lives, strength, stability. Crumbling Civilizations: Fate, inevitability, death, a loss, facing up to a situation, allowing what will be to simply be, acceptance, moving on. leaving the past well and truly in the past. Of course there are many more interpretations; all questions and answers are very personal so this is just a general guide to get you started. You may be surprised at how quickly your own visions and consequently own answers will manifest. A magically charged potion to assist you in accessing the inner realms. to uplift the spirit, raise consciousness and assist in love. These potions are individually prepared and magically charged as per ancient Templar knowledge and wisdom; they can be used as incense, kept in a pouch, sprinkled sparingly in a lighted tea-light or sprinkled in your bath water. Be careful around naked flames. A magically charged potion to assist you in accessing your own inner consciousness. Created of Burdock Root, Myrrh, Sage and Solomon’s Seal to connect you to the Energies of Winter, for discovering your inner depths & quietness, for accessing the ‘within’, for recharging & re-establishing energies, inner strength & focus. These potions are individually prepared and magically charged as per our ancient Templar knowledge and wisdom and can be used as incense, kept in a pouch, sprinkled sparingly in a lighted tea-light or sprinkled in your bath water. 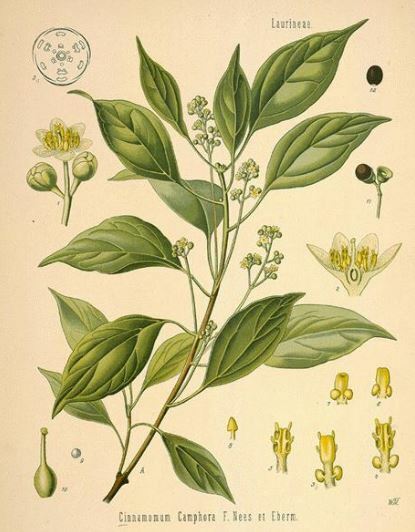 Camphor is collected from the evergreen tree ‘Camphor Laurel’ and is native to Taiwan. 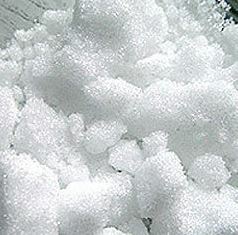 Camphor is a transparent solid with an aromatic odour. It usually comes in the form of pure white tablets. Physical Use: Used for flavouring sweets and in small doses for general cooking. It is further used in the making of embalming fluid or as a scent. When made into a paste with olive oil it can be applied to the skin as a mild anaesthetic. It is an anti-itch agent and is also able to reduce congestion. It can reduces chapped or rough skin is and particularly good for the feet. For muscle pain and congestion use in a paste with olive oil and apply for seven days only. It can be used in combination with other herbs such as lavender and white willow bark as a pain relieving massage oil. It can be made into ointments using less oil. Magical Use: Camphor enhances sexual desires and assists in love. When camphor is burnt it is a symbol of the consciousness. It is best used within ritual for raising and controlling spirits. Camphor is used within Craft voodun rites as a Loa Potion, together with Sage and Agrimony, when seeking magical assistance from the Loa (Spirits) and also as a key ingredient in mojo bags. * Always be very careful when using herbal potions and always under a trained tutors eye. HERB OF THE MONTH: ROSEMARY. Within the Craft path of the Serpent Priesthood (the Ansar) as within many magical paths, the knowledge of sacred herbs is given. On this path not only is the connection to the earthly plane taught but also of how each herb and stone connects on a universal/multiversal level to a much bigger picture. 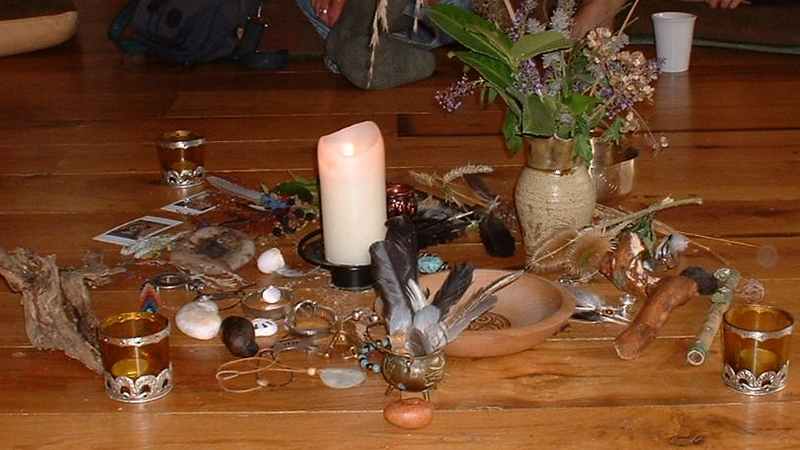 Everything connects and interacts, everything is of vibration and can act for or against depending on how it is used and from which aspect; different combinations of sacred herbs and stones have different purposes and work on a magical and alchemical level on the mundane plane as well as the spiritual. Rosemary has been used by practitioners almost since the dawn of time and its heady, pungent, invigorating aroma can transport you back in time to a far distant land, to a time when rosemary was burned in the temples of Greece as an offering to the Goddess and God. The Greeks dedicated rosemary to Apollo, their solar deity, who was acknowledged as the god of medicine, poetry and prophecy. Rosemary is also connected to the snake (Sibbu) and the sword thus connecting directly to the Serpent Priesthood and the teachings thereof. Rosmarinus means ‘dew of the sea’ thus also connecting to the goddess Amulug, Mary Magdalene, Kiam and the universe at every level of understanding through time. The connection to Mary Magdalene who is also known in truth as Kiam is most significant. sun soaked shores of the Mediterranean. Breathe in deeply that enticing aroma and be transported to the sun drenched shores of your own imagination. 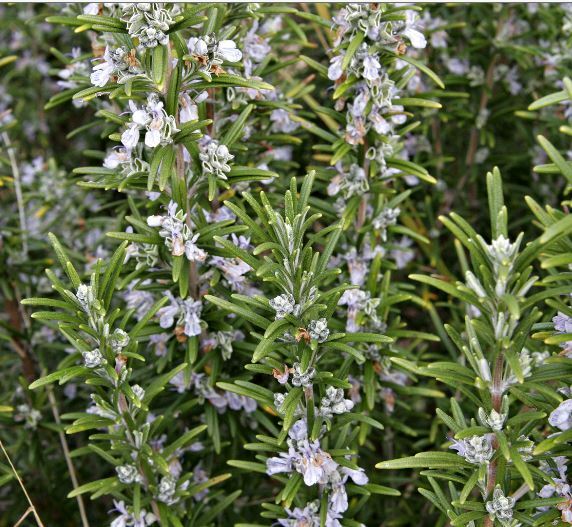 Rosemary was one of the earliest plants to be used for food, medicine and of course magic. The country people of ancient Greece did not have access to any prepared incense, so burnt Rosemary in sprigs on their shrines and it thus became known as the incense bush. Today, gently smoldering the sprigs on charcoal is still the quickest and easiest way of using fragrant rosemary as incense. Traces of rosemary have also been found in Egyptian tombs which is not at all surprising considering that the Egyptians knew a thing or two about magic… During the middle ages it was used to smoke out devils during exorcism and it was also burnt in sick rooms as a fumigant for many centuries. Rosemary continued to be burnt in hospital wards in France until the present century and was abandoned at about the same time that modern research had actually proved its antiseptic properties. Rosemary can delay or prevent putrefaction in meat but we are unable to tell if it was first used in cooking for the flavour or to preserve the meat, for in distant times there was no means of keeping meat refrigerated in hot climates. Rosemary has a long folk magic tradition as a love stimulator and many ancient charms and spells use rosemary for this reason. Bridal wreaths were entwined with fresh rosemary and bridesmaids gave sprigs to the groom to symbolize love and loyalty. The plant has and still is used in countless rituals to promote love. Nowadays we can inhale the scent and visualize its subtler energies bringing love and transformation into our lives. It seems like rosemary has always been in our lives yet to discover its magical properties we have to find how to open a secret door to the abundant garden within….. Aroma is an important tool for magic and ritual as it facilitates the unlocking of subtle pathways to the subconscious. In ritual we transcend our daily lives and become one with our gods and goddesses. A specially prepared incense wafting around the temple or sacred space can quickly evoke an atmosphere of divine worship. In spell casting and magical rites the power to cause change in ones lives can be greatly enhanced by the appropriate incense intensifying and charging the atmosphere. Rosemary can be used fresh or dried for incense making and the essential oil can be used as an ingredient in oil blends. The ruling planet of rosemary is the sun, its element is fire and its gender is masculine. Its powers for magical workings and spell craft are that of protection, love, lust, exorcism, purification, healing, sleep, youth. It is also burned in order to receive insight and the smoke is inhaled to promote visions. The essential oil can be sprinkled on to cotton wool balls or tissues and taken into exams or placed in a car during long car journeys to aid in concentration and awareness or while at home the oil can be used in a burner for the same refreshing reasons. Physical Use: In healing uses rosemary assists the nervous system. It can be made into a into a paste (with olive oil) then added to water for pre-ritual cleansing. Rosemary is used as a representation of union when used within Handfasting Ceremonies, being the suitable replacement of confetti. It is appropriate to use within a Funeral Rite, where onlookers cast the rosemary to the grave. Within the higher degree workings of the Serpent Priesthood, rosemary is the plant that is a part of sacred alchemical and magical combinations. 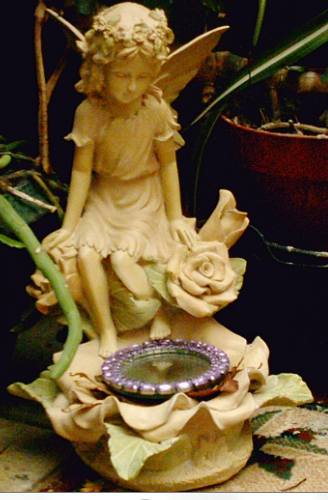 Magical Use: Rosemary aids intellectual achievements, assists purification, protection, and love. Use rosemary within the Last Rites Service. Rosemary can be used in combinations with other herbs and sacred stones as taught in the Serpent Priesthood as part of a student’s magical training and is part of a sacred alchemical combination within the higher degrees and beyond. When using herbs for incense making start with simple combinations and then when you feel more confident experiment a bit more. You will soon become familiar with all the correspondences and magical properties. An interesting way to start is to make the appropriate incense for each festival and rites, to be used in your own ceremonies. Rosemary on its own does make a very divine incense but it also combines very well with other sacred herbs such as sage and lavender. An incense blend which uses half quantities of sage and rosemary or lavender and rosemary (fresh or dried) can be used for purification of the temple, chapel or home and all within including self, clothes, magical tools (if that is your preferred method). It is ideal to burn before a ritual or ceremony of any sort, whilst you are preparing. Let the smoke waft around your temple to cleanse and purify the space. It will create a lovely white smoke that will very easily add the right touch. The aroma is gentle, soothing, almost antiseptic and cleansing in its properties. This incense induces a lovely feeling of relaxation and cannot fail to put anyone in the right frame of mind for ritual, meditation or path working of any description. Please try it, and thoroughly enjoy your experience of Rosemary; the dew of the sea. One of the tenets of treading a very deep and profound path; non more so than that of the Old Ways, is that just when you believe all is safe and well and you have reached a pinnacle of sublime understandings, the path and what you perceived as your understandings can come right back at you and kick you hard in the face, as all that you ever knew is totally transformed into something deeper and more profound than you ever thought possible. Sometimes it can strike like a bolt of lightning on a once sturdy old oak tree, rendering you as the old oak shot right into two straight down the middle. Even if you see it coming you may have nowhere to run, nowhere to hide and find yourself totally laid bare in the aftershock. However, you do actually need these bolts from the blue, these reality checks, for they are the challenges and the safeguards sent to you for a reason; they are the hurdles we must all overcome in order to progress (or not) within our given paths. For it is certainly ‘Those That See And Observe’ in action; living up to their name. We may need to travel deep down and hit rock bottom more than once on this journey, facing the darkness and the uncertainty alone. Many times we can reach out in order to grasp the hidden thorn and be totally torn to shreds before eventually emerging into a new dawn of understandings. All our journeys are very different, very individual, even for walkers of the same path and yet many journeys take us eventually to the same point of understandings at different points in time within the universe. Yet to go further than we ever thought possible, we must break through our own human led limitations and expectations, break out of that old mindset that we have been force-fed with in order to access that realm of ultimate perfection within the universe; access that place that seems so seductively near but is oh so very far away. Knowledge is truth and truth is power yet with knowledge and truth comes big responsibilities as the mysteries are demystified and reality starts to unravel before our very eyes transforming into the reality we always knew within our hearts yet dared not to even think about. The darkest hour as we know, is just before dawn and a phrase that we may have referred to time and time again, but what does this really mean? When in this dark place we must relish and embrace all the lessons being offered there, equally the good and the bad, and learn from them as we have never learnt before; we are being held there for a reason and cannot not move on until we have learnt those lessons laid out for us and the ‘powers that be’ within the universe deem us ready. So learn and grasp as you never have before, learn to shed that which you need to shed in order for transformation to happen, however hard, however painful it just has to be faced in order to move on and up again. Only you, the lone traveller on this particular journey can face it, it is a journey you must face alone yet in facing it and learning from it you/those of us who are meant to, will surely all rise again. Many will never tread the path of truth, many will have the ability to yet will never fulfill their purpose and many, many more will never even know of the journey or of the truths of existence and will never even give it a thought, yet that is the way it is meant to be; it is as it always has been and what will be, will indeed be. Only a few will ever truly see or hear that exquisite song of the piper at the gates of dawn heralding in an old truth to the Serpent Army. It is not a quick fix by any means, this journey can be a journey of many lifetimes and many folks will forever hide behind the facade of illusionment of the modern world, living for today, hard and fast in a circle of false promises begetting the unfulfilment of their own manifested urobourous; getting nowhere very fast. Whether or not we follow the Way of the Blood, the true Old Ways, for the transformation to truly happen on any level we must evolve from within in order for the first stages to begin and this can only happen when you remove all the baggage that humanity has thrown at you, when you clear your mind and you face yourself alone, as the one that you truly are and truly love what you see. But the joy, the real joy of transformation is often totally and utterly silent, a very personal covenant of peace and joy between you and the Divine, so very personal and profound in fact that no utterances or affirmations in the world of men are ever needed. It is of a coming home to a home that once you had no concept of its existence; it is though of a very real world, a very real way of life that can only be accessed by the opening of your heart, by releasing the ego and by finding peace within and trust without for those who are there to guide and nurture you at every step of the way. 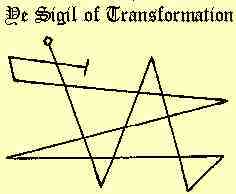 Then and only then will real alchemical and physical transformation ever even begin to take place.